A place where actors are immersed in the craft of Television and Film Acting. Young people of all ages look forward to coming here and taking part in our carefully designed curriculum. Gary Spatz's roster of former acting students is a Who's Who in Stage, Film and Television. Our facilities are top of the line, state of the art studios. We have HD Cameras, professional film lighting, theatre seating, and TV and film sets for your child to explore what it's like to be an experienced actor. The Playground is the premier young actors’ conservatory in Los Angeles and Orange County. Our focus is coaching young actors, both experienced and new, the craft of on camera film and television acting. Learn more about us by clicking on the stories below. Roberta Reardon Founding Co-President of the SAG-AFTRA Union shares her appreciation for The Playground. Our Philosophy Come for the playing, stay for the learning, end up with life lessons that never leave! Want to join the Playground or learn more? Whether you are preparing your child for a career in acting or just for success in life, The Playground is a great place to learn. Sign up for an interview with our admissions directors today! Jump Start Your Child’s Life With The Best Young Acting Program! Commercial techniques and much more! The most important part of our young acting class is that students have fun. We put great effort in making young actors realize how important it is to enjoy acting as well as the auditioning process. 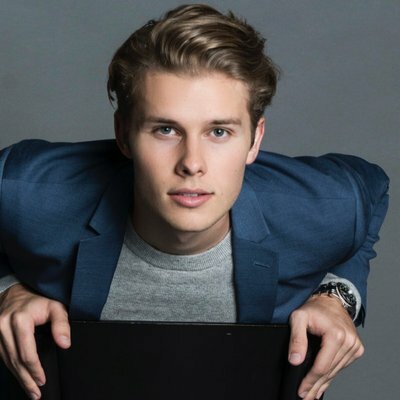 If initially guided with care and patience, a young actor’s career can lay the foundation for their adult life which includes developing leadership skills, self-confidence, and team work. Slating means to state your name and age. Slating is the first thing you do at every audition when you enter a room. The director gives you the instruction to stand at a spot in front of the camera which is usual marked. The director will then ask you to slate a couple of things such as your name, age, the role you’re auditioning for, and sometimes even the purpose of why you want that role. What you have to do is look straight at the camera and carefully, as well as fluently, slate whatever the director asks. If the director asks you any other information to slate, slate that as well. After your slate, the director might ask for “profiles.” To give a profile, stand in front of the camera, turn to the left side and then to the right side. Sometimes the cameraman might do a full body shot. If they do, do not move! This allows for the director to see how good your profile looks on camera. What Does The Slate Provide? Your slate provides the director with crucial information about your acing capabilities. Most of the reasons why a director goes through your slate is based on whether you physicality fit the role you are auditioning for. Your slate, your presence, and how you appear on camera is considered afterwards. Just by saying your name, age, and passion seems exceedingly simple but provides crucial information about your self-confidence and personality. Throughout the auditioning, your child will be asked a few questions and to do a simple script performance. Most of the time, the tryout director will have children do these performances more than once or perhaps until they get a good performance. It will be entirely up to the tryout director if the actor performs on the same script or change it entirely. The tryout director will test your child’s capabilities by telling them to act happy, sad, mad, play with some toys, or eat something to get a better better understanding about the child’s talent. What Are TV Directors Looking For? As with every kind of audition regardless of what it’s for, it is near impossible to accurately determine what a director is looking for in an audition. However, that’s not the case for our young acting class’s entrance tryout. Our tryout directors are looking for one simple thing which is enthusiasm. Our tryout directors are looking for candidates that have the motivation to be better, are enthusiastic, are willing to have fun, and have the ability to work with others as a team. To become a successful actor, one must like auditioning above all else. If you don’t like auditioning, chances are you will never make it big. Acting classes are much like an initial audition where you are taught how to listen, follow instructions, and get used to speaking in front of large crowds as well as learning the A – Z of the auditioning process. What we teach your child is to walk through the door with confidence and a smile to make a valuable first impression that just might make them the next big superstar. This is a skill that won’t just benefit their acting career, but will rather prove helpful throughout their life. Throughout the admission process we identify and observe teens who are creative, talented, enthusiastic and can further grow through our acting school program. Though we try to accept as many talented teens as possible, keep in mind that not everyone can get accepted in our Young Acting Classes Program for teens. Keeping your contact details up to date can help you in raising your chances of getting accepted. For our acting classes for teens, there are no application deadlines but rather a rolling admissions policy. This means that you can apply at any given time but remember that class seats are allocated on a first come first serve basis. To make sure your teen gets accepted in our acting program, you are advised to start the enrollment process several months in advance due to the seats being limited. Additionally, it can take a considerable amount of time to recognize your child’s talents as well as enthusiasm and determine whether your teen can truly benefit from our program which will take quite some time. Furthermore, there are no charges with applying for admissions to The Playground. Acting requires a wide range of acting skills, including clear speech and projection, emotional and physical expressiveness, listening and reading imagination. Acting demands an ability to improvise, observe and react to others. Many of today’s actors have undergone extensive training to stay current in an always changing cinematic and theatrical world. 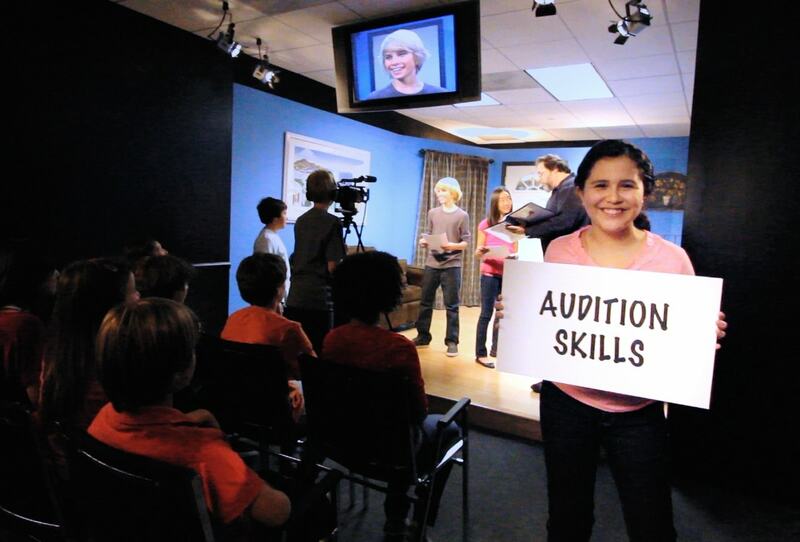 Our acting classes for preteens offer two years of training in all aspects of acting. 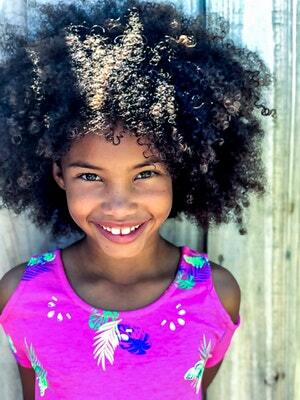 Our acting classes introduce preteens to different aspects of acting including training to deliver an honest performance as well as scene study, improvisation, and character study. The Playground coaches challenge the actors to interpret a scene and then bring the scene to life through performance and through the personal qualities the young actor may contribute to the narrative of the script. Our coaches encourage the actors to not only represent the ideas of the script, but also create a new reality through their performance. With Improvisation, our young actors can find true expressive freedom since they don’t ever know how the situation is going to turn out. When one continues to operate with an open mind, you’ll have a real sense of spontaneity rather than pre-planning a response. With improvisation our preteen students perform a character of their own making. Many of Gary Spatz’s former students found improvisation the most fun aspect of acting. We encourage our teen actors to transform into a convincing character. The audience no longer sees the actor as a performer, but sees a character as a completely different being. Once this shift occurs, the actor communicates to the audience. For example, if the actor is playing a shy character, the audience may not just see a shy student, but instead see a character similar to other shy students they have known. Acting involves communicating between characters and the audience. Both must work in order for the audience to react favorably to the actor’s performance. When we see our teen students improve quickly in character Study and development, we also see the child develop self confidence. Fill out your contact information on the contact page and come learn from acting professionals in an exceptional, cooperative, and entertaining environment. Everyone that wants to join our acting program is required to submit an application form as well as complete an entrance try out. Keep in mind that not everyone can take part in our acting program. You can inquire about our eligibility for enrollment from the admission office to join our esteemed acting program. The artistic review process enables us to setup our acting program in a way in which you can blossom, grow, and move forward to live up to your expectations. The main goal of the admission process is to recognize those students who can get the most benefit from our classes and contribute to our classes. For this process, your application and audition are of great importance as they are necessary parts of the decision procedure. Once we come to know your expectations and you have completed the audition, the final decision is then made by The Playground and the applicant is informed typically right after the audition. The enrollment process may begin as soon as you are approved which is totally based upon your application and audition. Once the applicant gets the letter of admission, he/she should make the necessary payment in order to secure a place for him/herself in the class. After the student gets an admission letter, it is important to confirm your choice to be present at The Playground by the completion of enrollment within three weeks from the date of acceptance. We also offer an opportunity of delaying the enrollment for a maximum of one academic year to the students who have been accepted to our program. The students, showing their interest in delaying the enrollment must send a written request that should be addressed to the Admission Committee with the details about delaying the enrollment. The Admissions Committee will then decide the delay on its own merits and once you get the delayed approval, you will not need to complete any more auditions. Your sport at The Playground is guaranteed and assigned to applicants in the exact same order in which the admission staff receives payment and approves your registration. The Playground applicants who have made it into our program should be aware that there are limited numbers of students that can enroll in each acting class. Those applicants who are new to Gary Spatz’s Young Acting Classes are required to pay the full tuition fee, or installment, in advance before starting the program in order to secure a seat in the class in either Los Angeles or Orange County. The tuition is solely to secure a seat in class and has no relation with missing classes under normal circumstances. The payments can be made through money order, cash, personal check or credit card. Keep in mind that all returned checks and resulting bank charges are required to be paid in cash. This also means that you will no longer have the privilege to pay using a personal check. The Playground provides a myriad of financial aid services for qualified young acting students. The Playground also provides special late payment and non-interest funding for qualified students. To take advantage of financial aid you must already be enrolled in a class and should be a student with good standing. Music, drama, visual arts, creative writing, and dancing have been used throughout time to pass on cultures from one generation to another. Not only do music, drama, visual arts, creative writing, and dancing help with creativity; but also helps in managing stress for high achieving students. Above all else, when it comes to art, there is no limit for growth. How Qualified Are The Playground’s Coaches? All of our coaches are professionals that have had active experience in the acting industry. Most of The Playground’s coaches obtained graduate degrees in Fine Arts and studied acting at a university. The one thing they all have in common is there passion for teaching young actors and actresses develop their talents. Did any of The Playground’s students become movie stars? We are very proud of our former students that became great stars which include Justin Timberlake, Britney Spears, Dylan Sprouse, Cole Sprouse, Ashley Argota , Jadagrace, Nate Hartley, India Eisley, Kay Panabaker and many more. Can I Trust the Playground to provide the best acting training? Gary Spatz, the director of The Playground, has more than a quarter of a century working with the greatest entertainment organizations. Gary Spatz keeps on working for significant entertainment organizations today including Disney, Carsey-Werner and CBS. Roberta Reardon co-president of SAG-AFTRA, a noteworthy screen union, expressed in a video: “Young entertainers are an imperative part of the excitement industry, however it’s much more vital to ensure they’re having a great time while they’re building up their aptitudes. Gary Spatz, originator of the Playground LA, is somebody who strives to ensure Kids make the most of their time in front of the camera. Our industry depends on individuals like him, so I needed to express profound gratitude to you Gary for the work you do each day – it truly makes a difference. Does it help to take acting lessons from an early age? Much like with every other sport or art, practice always makes a difference for the better. Even in acting, practice can make a world of difference. All auditioning directors favor a well-trained actor over a newbie, so starting your acting training young has its own benefits. What is The Playground’s success rate? It relies on upon how you characterize success. 80 % of our students agree to take another course when their initial one finishes. Another estimation could give students life’s aptitudes – on the off chance that we inquired as to whether they feel better arranged for success in life and do they have the instruments they need to succeed, then our success rate is 100%. Numerous agents and film directors agree as they keep on referring their customers and their children to our acting classes. Nonetheless, it is critical to note that we can’t promise your child or little girl will have an agent or acting work in the wake of finishing the acting program. How does attending The Playground benefit me? The Playground provides its students with the right tools to enable them to succeed in life. Some of the benefits you can expect are better speaking ability, better listening skills, improved reading comprehension, improved school performance, but most of all a major increase in self-confidence. Can I earn a living as an actor? For a beginner to start earning as an actor will take years of patience and hard work. Success in the acting industry is highly unpredictable. Even the most talented individuals might find themselves without any acting job for quite some time. It takes a fine blend of practicing auditioning techniques, appearance, attitude, and luck to start earning in the acting industry. What are the costs of your programs? The cost and duration of each of our program is different. The starting price is $2,000 for 6 months. Do I need prior experience to apply? We can only teach a portion of what you need to know to become an actor which is exactly why we’re looking for students with talent, imagination, and passion for acting. If you are motivated, enthusiastic, and are committed to learn acting then you are eligible to train here.